← I Am Bound To Them! A Preponderance of the Evidence! Several months ago, upon obtaining burial records for my 2nd great grandfather, Thomas Wilson; I discovered he was born in Burt, Co. Donegal. The record also revealed that his parents, and my 3rd great grandparents; were William and Cherry Wilson! Cherry seemed like a rather unusual name to me, especially for someone born in the very early 1800s; a “nick name” perhaps? A few months later “Mr. 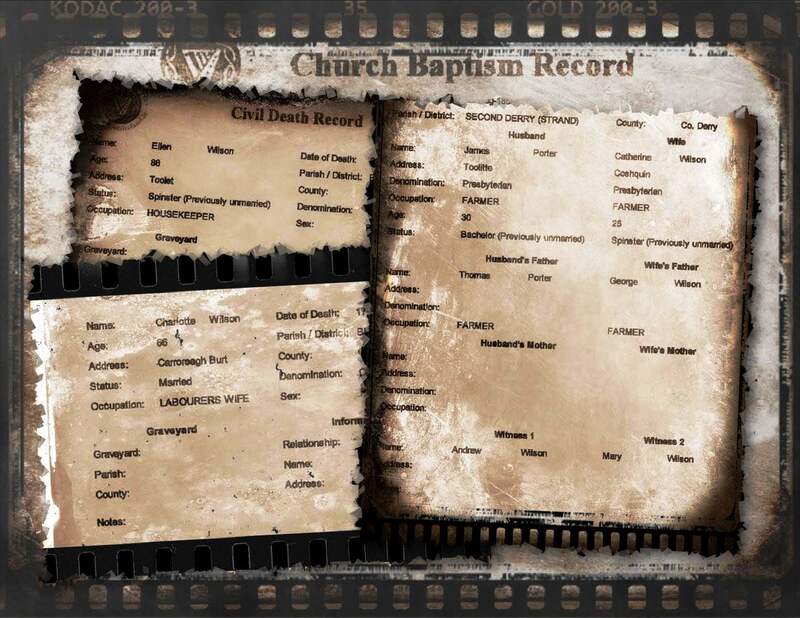 WUGS” was able to provide me with baptism information for Thomas from the Burt Presbyterian Church. That particular record showed that Cherry’s maiden name was Lynch and the Wilson’s lived in Carrowreagh, Burt! Now I had another Twisted Limb to follow; namely my Lynch ancestors! Initially, I believed that this was the first time the Lynch surname appeared in my tree (of over 5000 ancestors so far); however, I was wrong! Thomas Lynch Hunter is my 1st cousin twice removed; his mother is one of my great grand aunts and he is Cherry Lynch’s great grandson. I had always realized that the name Lynch had to be a family surname; however, up until this point I had not known its origin. My next step – find more of my Lynch/Wilson family in Burt, Co. Donegal! How difficult could it be; after all, Burt isn’t very big. Cherry and my Lynch ancestors should be easily found since she had such an uncommon Christian name. Or so I thought! In the 1901 Census of Ireland I discovered that there were three people with the Lynch surname and four Wilsons living in Burt. The 1911 census revealed that there were now two people with the Lynch name and five Wilsons. Since William and Cherry Wilson were already long deceased I had to expand my search and work “backwards” (or sideways) so to speak! I needed to find a way to confirm that these families were in fact mine! In the 1901 census residing at 18 Toulett, Burt, I found Samuel Wilson Porter living with his father James; who was the head of the family and widowed. Also living with Samuel and his father was his brother John “a lunatic”, and a domestic servant by the name of Margaret Coll. The 2nd last entry in the census, the name that got my attention; was Ellen Wilson –spinster and sister in law! Hmmm… now I know that James Porter had married a Wilson. I will be eternally grateful that Ellen never married and still carried her maiden name! The Church Marriage Record for James Porter, a farmer, of “Toolitte” disclosed that he had married Catherine Wilson of Coshquin, daughter of George; on 23 Aug 1855. Andrew Wilson & Mary Wilson witnessed their union at the Second Derry (Strand) Presbyterian Church in Londonderry. 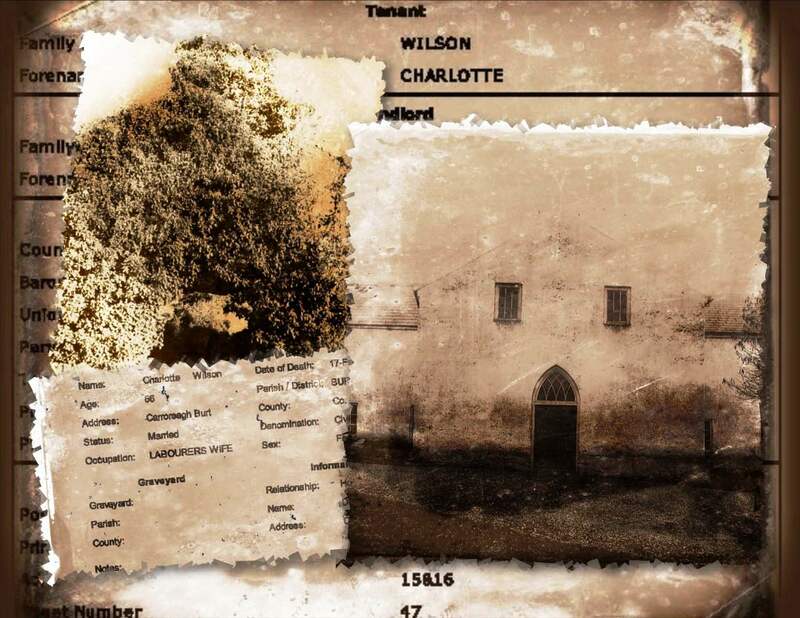 Catherine passed away in 1899 at the age of 75; based on this particular fact and her approximate birth year it might suggest that Catherine was a sibling of my 3rd great grandfather William Wilson! If so, then is George my 4th great grandfather? Much more research is required for this particular Twisted Limb. Interestingly, the 1901 census recorded the residents of a house at 16 Toulett, Burt – the Lynch family! Robert, a farmer and his wife Matilda along with their eighteen year old son Samuel George resided right next door to the Wilsons! Sadly, by the time the 1911 census was taken Matilda Lynch was deceased – Robert and his son Samuel George were now living in 14 Toulett, Burt. 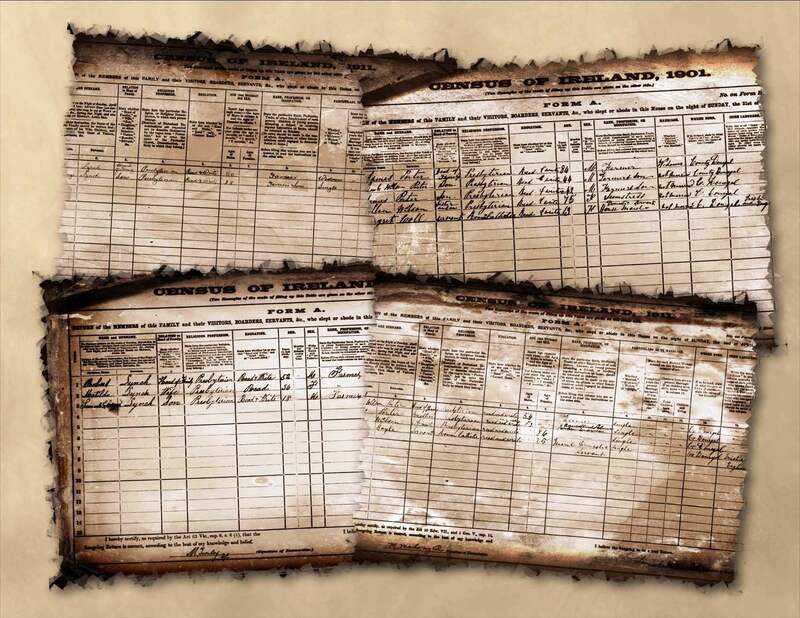 The Civil Birth Record for Samuel George Lynch showed that he was the son of Robert Lynch and Matilda Hall of Ture, Kilderry, Co. Donegal. Now, with another family address I have one more clue in my never ending search for my “dead people”! A preponderance of the evidence would suggest that these families are connected to one another and definitely mine! However, I have much more research to do in order to cite and source the records before “claiming” the families as my own and moving back one more generation! Just another “Crooked Branch” to follow in my ever expanding tree! This entry was posted in Co. Donegal, Co. Donegal, Co. Londonderry, Family History, Geneaology, Ireland and tagged Co. Donegal, Co. Londonderry, Derry City Cemetery, Family History, GeneaBlogger, Lynch Family, Wilson Family. Bookmark the permalink. Visiting my relatives in Donegal And passed Burt yesterday…. Beautiful Catholic Church there (Name “European building of The century” in 2000.) I think the Pres Church is now a Restruarnt/hotel added on…. Not sure what denomination it Was — but have eaten there in The past. So, good luck with your continued Search AND greetings from Donegal! Thank you Sean; I should have been in Donegal this week myself! 😦 I had to reschedule my trip as we decided (out of the blue) to buy a new house and sell our current one! The timing just wasn’t right for another trip “back home”! So, I hope to be there again before Christmas! Enjoy your day! Very exciting! What great research. Good luck connecting the rest of the dots. I hope you enjoy your new house and get to Ireland before too long! My Grandfather was born in Burt, Bernard Sheerin, his mother was a McDaid. Two McDaid cousins went to Nebraska they were priests. My granddad lived in Derry and passed away in the 1960’s he is buried in the Derry Cemetry. I read in one of your posts that you were searching for Sweeney’s. I am descended from a John Sweeney. I have carefully traced him after he arrived in Philadelphia, Pennsylvania. He married Anne Jane Devine in Philadelphia, in 1848. They were both Catholic. I have been told he was originally from Derry but I don’t know where to start searching for the family! I know that the naming patterns were important in Irish families. He named his first daughter Margaret and his first son Hugh. Any advice on how to make the jump back to Ireland? Does any of this ring a bell in your tree research?